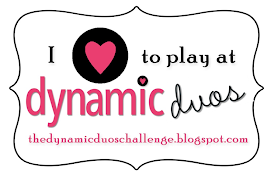 Thank you to everyone that joined in our Dynamic Duos Challenge #12. We loved seeing your Black Tie creations with Basic Black and Poppy Parade (and a punch dessert option)! 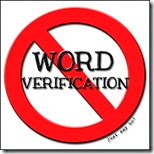 We are thrilled that we are seeing so many submissions each week and that you are supporting our new challenge blog! All of us here at the Design Team want to thank you for your continued support! Hi friends, Allisa here! 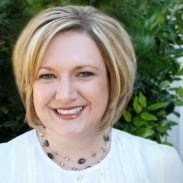 I have the pleasure of choosing this week's DIVA Dynamo! 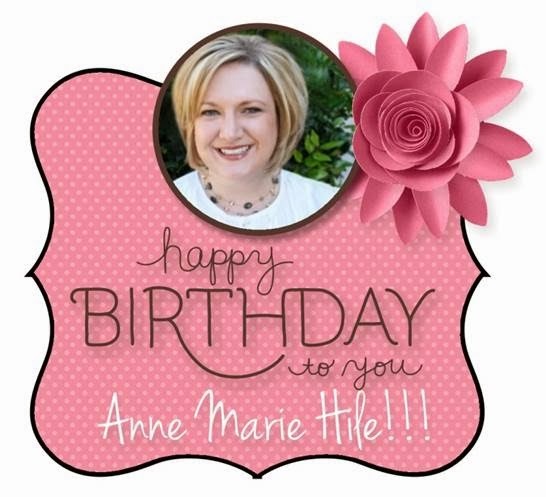 The Diva this week is Crystal Dawn Langton from Stampin' Sweetly! Wow, the amazing flower is what drew me to Crystal's card. I love the tiled background effect with the added swirls. Such a stunning combination that is perfect for the color duo! 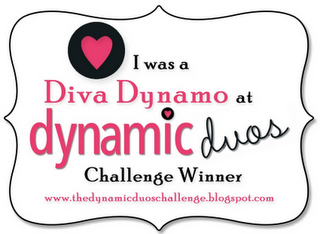 Congrats on being the Diva Dynamo this week! Be sure to join us tomorrow for a new challenge with a "Monochromatic" color combo! 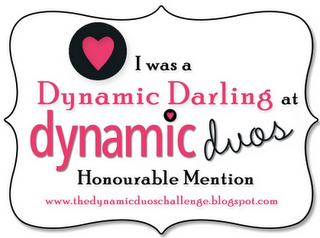 Thanks, Bronwyn, for choosing my card as one of the Dynamic Darlings!